The Gozan Okuribi is one of the biggest summer events for local people in Kyoto and Japan. 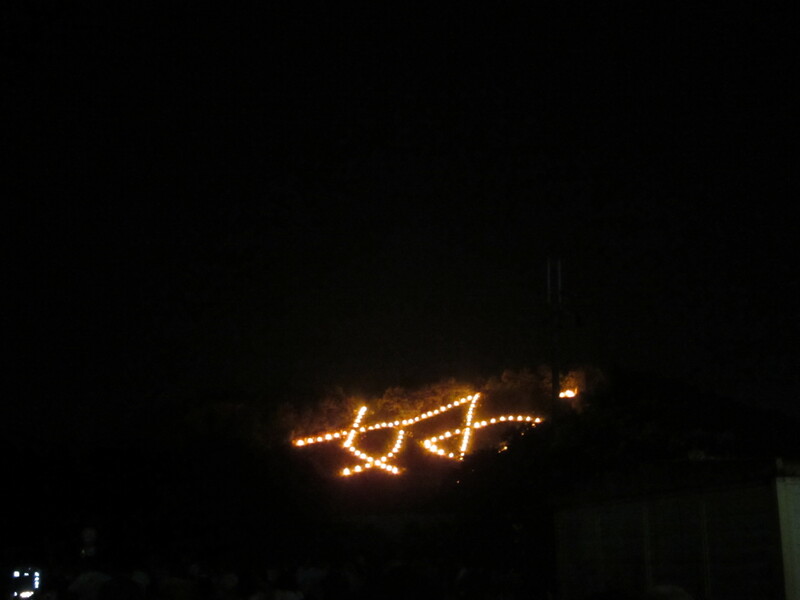 As explained in “Kyoto’s Summer Tradition – Okuribi Bonfire“, the Okuribi is basically a series of bonfires on five different mountains in Kyoto. This bonfires are said to be the signals to send souls of ancestors who visit this world during “obon” period (August 13th – 15th). The time schedule for this event is going to change this year. Bonfires 妙 & 法 in the north will be lit at 8:05 (it used to be 8:10) and the bonfire “the shape of a ship” will be lit at 8:10 (it used to be 8:15). The reason for this change is to unify intervals for 5 minutes. They might sound like tiny changes, but this will affect a lot, because those bonfires burns for short period of time (about 15 minutes). 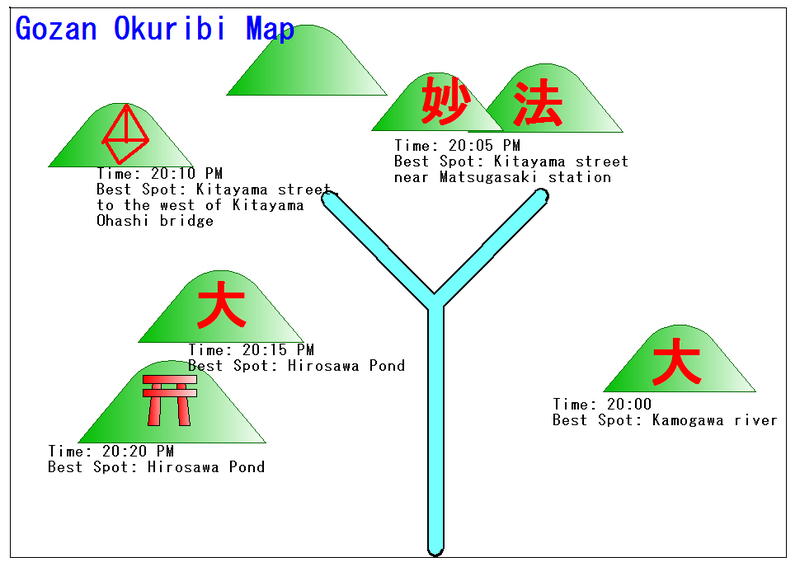 Check out the map below for the Gozan Okuribi, which reflects the latest changes. For those who are interested in this event, be sure to read the article above and reserve a hotel as soon as possible. For more fun and useful information, which will make your Kyoto trip more memorable, exciting and stress-free, please check our Kyoto e-Guidebook.